practical and fun shoes for everyone. shoe fit for a summer loving princess. rubber soles to give them more confidence for their first little steps. 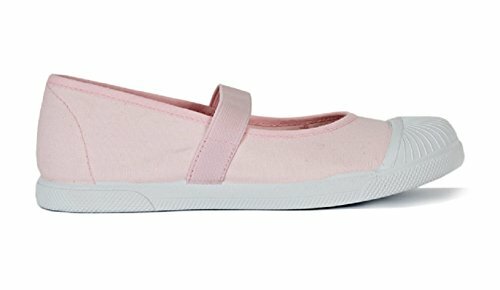 CASUAL GIRLY CHIC: Beautiful elastic Mary Janes made of soft comfortable canvas in a beautiful color that goes with anything. Pink piping edges for a clean finish look. Perfect for school, parties or walks! If you have any questions about this product by ChildrenChic, contact us by completing and submitting the form below. If you are looking for a specif part number, please include it with your message.